However, all of that started to change when he went to Miracle Farm in Brenham, Texas. 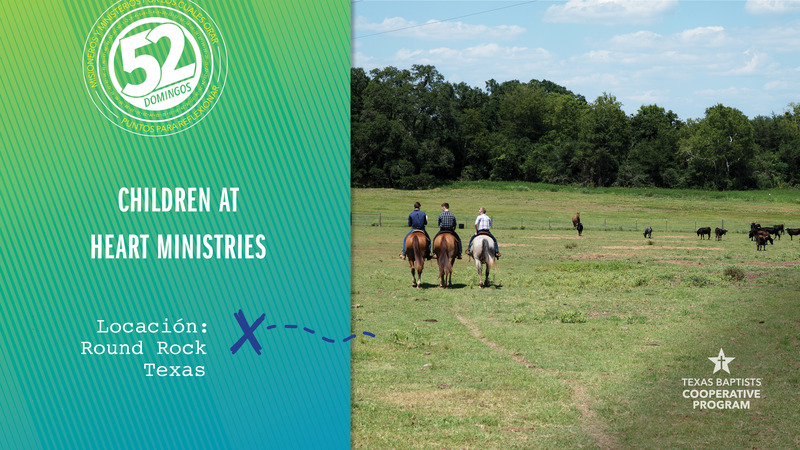 Miracle Farm, a ministry of Children At Heart Ministries, gives struggling boys the opportunity to experience healing and learn respect through its Horse Program and trainings. He realized how much the staff at Miracle Farm genuinely cared about him. The Lord softened his heart and helped him learn how to trust their guidance. Brandon is now enjoying healthy relationships for the first time in his life and experiencing reconciliation with his mom. When our church gives through the Cooperative Program, funds go to Children At Heart Ministries and their Miracle Farm program. The four ministries that make up Children At Heart impact the lives of thousands of vulnerable children and families each year. Please join us in prayer for the leadership of Children At Heart, that they be filled with wisdom as they seek to honor God by serving children and families.